Irritable bowel syndrome is a serious condition that not only disrupts daily life, but can also interfere with your life insurance eligibility. However, if you have irritable bowel syndrome you are not automatically disqualified. There are many factors companies consider when underwriting clients for life insurance with pre-existing conditions. Keep reading to know more about your options. Irritable bowel syndrome impacts the large intestines and can cause for severe discomfort and pain. Some symptoms that occur are: cramps, bloating, constipation, and diarrhea. There is no cure for irritable bowel syndrome, but there are many effective ways to manage it. IBS may last for some time and not impact the patient again or it may be something he/she has to deal with on a regular basis throughout their life. Will I be eligible for life insurance with irritable bowel syndrome? To sum it up: probably. Irritable bowel syndrome is very inconvenient and can diminish a person’s quality of life. However, it will not typically disqualify you from getting a life insurance policy. Date of diagnosis. Life insurance companies always want to know how long you have had a medical condition. This helps them to assess the complications and prognosis. Medications. If you are taking medications for IBS, then the life insurance underwriter will want to know about it. They want to know how you are managing the syndrome as well as what health risks may be associated with your medications. They will also ask you how long you have been taking each medication. Flare-up history. Of course you may not know all of your flare-ups, but an underwriter will want to know about the last time you had an IBS flare up, and about the severity of it. Surgery or other procedures. Some people opt for surgical procedures related to IBS. If you have had any procedure, the life insure company underwriter will want to know about it. Colonoscopy results. A company will ask you about your last colonoscopy. They will want the date of your colonoscopy and the results. As we already stated, the good news for IBS patients is that you will likely still get life insurance coverage (so long as IBS is the worst thing in your medical history). You may, however, be considered high risk and pay a higher premium. Every life insurance company has a different way of determining a potential customer’s monthly premium. Some life insurance companies will charge a much higher premium for people who suffer from or have suffered from IBS. Others, however, will not. It ultimately comes down to the health rate category you are assigned. The more IBS friendly company you apply with, the better your chances of getting a lower premium. How do I know which life insurance company is right for someone with IBS? There are a lot of things that go into choosing a life insurance company—or qualifying a life insurance company (or policy) as “right” for a person. That’s because even two people who have IBS might benefit more from differing insurance companies than from the same. Each individual has many components and factors to consider – just because you suffer from IBS doesn’t mean you’re just like everyone else who suffers from IBS. That’s why it’s important to find the right life insurance for you – not the right life insurance company for someone with IBS. How do I find the right life insurance company? If you are looking for a life insurance company and policy, then you should turn to TermLife2Go for help. TermLife2Go doesn’t work for any particular life insurance company, but we do have a wealth of information and experience in the life insurance industry. We work with many of the country’s top life insurance companies. We have a thorough understanding of the life insurance industry, and what it’s like to look for a life insurance policy when you have IBS. 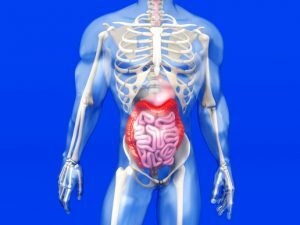 We can guide you and offer suggestions suitable not just for IBS patients, but for you as a unique individual. If you are interested in learning more about your life insurance options, please contact us today for a free consultation!